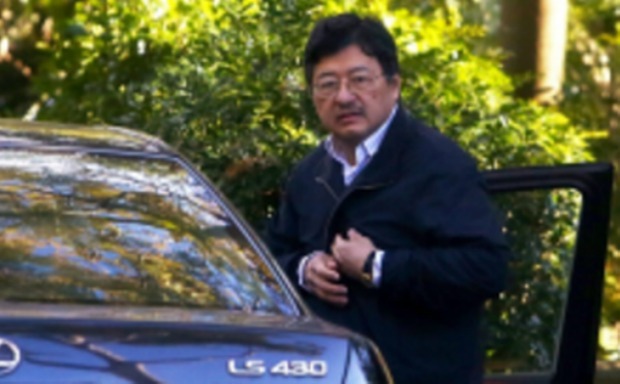 The $15 billion merger of TPG Telecom and Vodafone Hutchison Australia will bring together reclusive billionaire entrepreneur David Teoh’s broadband empire with a rejuvenated and internationally backed mobile operator to aggressively target the market dominance of Telstra and Optus. The bulked up new company will bring together Australia’s third-largest mobile network provider and second-largest broadband player with a stronger balance sheet and a range of complementary products across the consumer, enterprise and small to medium size business segments. Mr Teoh will move from an executive role to chairman and Vodafone’s boss Iñaki Berroeta will become chief executive of the merged group, to be called TPG Telecom. Industry sources believe Mr Teoh will remain hands on; however, he has ceded his stranglehold over TPG in order to create a more muscular competitor. “This merger of equals creates the scale and size, and also the financial strength, for us to compete with the incumbents. It will create a tremendous benefit for the consumer and our customers,” Mr Teoh told The Australian Financial Review. 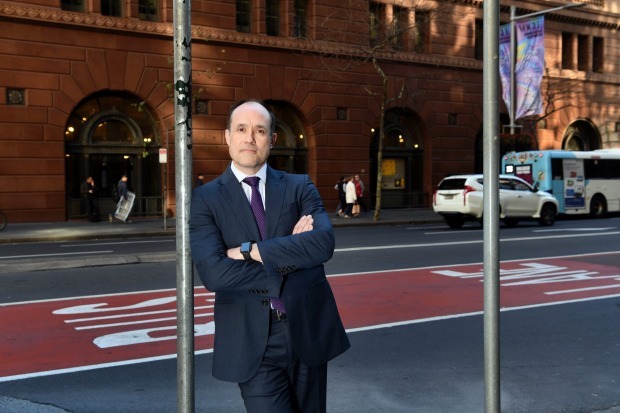 Vodafone Hutchison Australia CEO Inaki Berroeta will run the combined business. Mr Teoh controls around 35 per cent of TPG’s existing shares and is expected to enjoy a massive personal windfall from the merger with a planned special dividend of an as-yet-undetermined amount for current shareholders. Both Vodafone’s parent companies have agreed to holding onto their stakes for at least 24 months, while Mr Teoh, who will hold 17.1 per cent of the merged group, will keep 80 per cent of his shares for at least the same period. Long-term TPG shareholder Washington H Soul Pattison, whose chairman Robert Milner sits on the telco’s boards, will hold 12.6 per cent of the new company. Remaining TPG shareholders will have 20.2 per cent of the company. The new company’s board will consist of Mr Berroeta, Mr Teoh, Mr Milner, Mr Teoh’s son Shane, two nominees from Vodafone, two from Hutchison Australia and two new independent directors. The move eliminates the threat of TPG’s entry as the fourth mobile network operator, and the price war mooted to be coming with it. TPG’s David Teoh will be non-executive chairman of the merged group. But in its place has emerged an integrated telco expected to compete aggressively in consumer, enterprise and small to medium size businesses, bundling products across mobile and broadband. TPG and Vodafone each bring strengths to the table that the other has missed. TPG has amassed more than 27,000 kilometres of fibre optic cables – the key ingredient in the central nervous system of telco infrastructure – while Vodafone has turned itself into a strong number three mobile player, building its brand reputation and trust back up since the devastating Vodafail saga, with over 5,000 mobile sites. “We do it because we believe we have enough opportunity to give much more value to the customers in Australia. That ultimately translates to customers looking at us as a better choice,” said Mr Berroeta, who will become chief executive of the merged business. TPG will still push ahead with its plans to build its $600 million small-cell technology based mobile network. However, it’s expected the focus of the build will be a National Broadband Network bypass allowing TPG to keep all the revenue on fixed-wireless internet connections. Mr Teoh also flagged the company may review its $9.99 unlimited launch plans – which had no voice calls. The NBN has upended TPG’s consumer internet business. It was paying a wholesale price of $16 a user to rent lines from Telstra to offer ADSL, but NBN is targeting $52 wholesale average revenue per user, leaving little room for retail service providers such as TPG to make money. As part of the new company, Vodafone’s shareholders, Hutchison Telecommunications, the Australian subsidiary of Hong Kong-based CK Hutchison, and UK-based Vodafone Group, will hold 50.1 per cent of the merged company, while TPG shareholders will take the remaining 49.9 per cent. The combined entity will emerge with TPG’s 1.9 million broadband subscribers and Vodafone’s 3.4 million postpaid mobile customers, though the new third force in Australia’s telcos would still lag behind Telstra and its 3.6 million broadband customers and 7.9 million postpaid mobile subscribers, and Optus’ 1.2 million broadband subscribers and 5.3 million postpaid mobile customers. “We commend TPG for running this business for the long-term and this transaction strengthens their hand,” Yarra Capital Management managing director and head of Australian equities Dion Hershan , a long-time TPG shareholder, said. The company will still be named TPG Telecom, but there is a 10-year licence to continue to use the Vodafone brand on products. The merged group will have net debt of around $4 billion with earnings before interest, tax, depreciation and amortisation of $1.9 billion, excluding synergies, and revenues of $6 billion. The remaining $4.8 billion of Vodafone’s local debt will shifted up the chain into a entity jointly owned by Vodafone Group and Hutchison Australia – guaranteed by Vodafone Group and CK Hutchison. The debt will be serviced by dividends of the newly merged group and will not be consolidated by either parent company. Citi analyst David Kaynes said the merger is a long-term positive for Telstra and Optus, with the potential fourth mobile operator taken out of the market. However, he noted the deal removes TPG and Vodafone’s balance sheet constraints. “The new entity should be a much more formidable competitor to both Telstra and Optus and will be targeting market share gains right across the telco industry rather than just the consumer broadband and mobile segments the two groups are currently focused on,” he said. Previous articleWill Russia force Iran out of Syria?